Embrace the snowy season with the serene looking puzzle "A Good Snowman" (version 1.0.7 b2899), featuring beautiful graphics, a cute soundtrack, and a lovable storyline. The look and feel is perfect. The puzzles are challenging and enjoyable, so download and give it a go! In the game, you control a monster who just wants to build good snowmen, but he has to start small and build up his man by rolling snowballs on snowy patches of ground and making them bigger. It's the perfect game for this Christmas season! 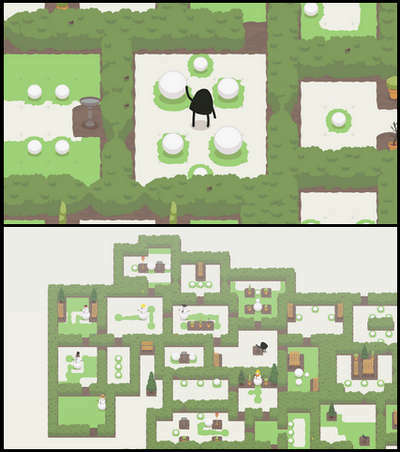 - Adorable graphics by Benjamin Davis (Sushi Snake). - Featuring a gorgeous original soundtrack by Ryan Roth (The Beginner's Guide, Starseed Pilgrim, The Yawhg). - Lovingly-crafted puzzle design from Alan Hazelden (Sokobond, These Robotic Hearts of Mine, Traal). - No in-app-purchases or ads. - A strange monument has appeared. - Fix crashes on some older devices. - Add Chinese (Simplified) translation. - Fixed rendering bug affecting a few specific devices.